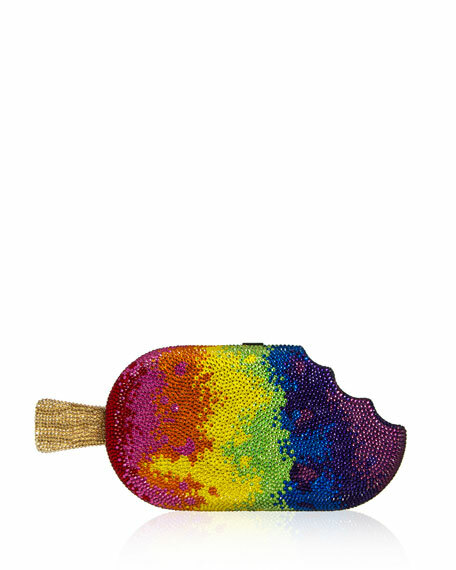 Judith Leiber Couture hard-shell clutch bag in rainbow popsicle silhouette. Chain shoulder strap can be tucked inside, 19" drop. For in-store inquiries, use sku #2562174.